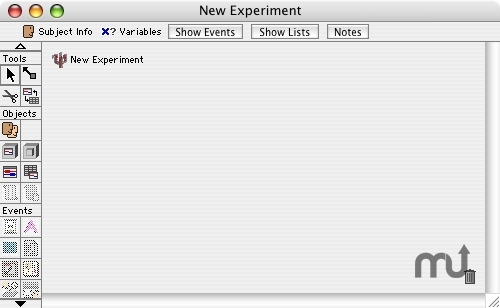 Design and run psychological experiments (beta). Is there a better alternative to PsyScope? Is PsyScope really the best app in Teaching Tools category? Will PsyScope work good on macOS 10.13.4? PsyScope X B77 is a program to design and run psychological experiments; it is used by many experimental labs. It has been developed at Carnegie Mellon by Jonathan Cohen, Matthew Flatt, Brian MacWhinney and Jefferson Provost for Mac OS 9 in the '90s. Thanks to its creators, its code is now public, under the GNU GPL license. It has been ported to OS X by the SISSA Language, Cognition and Development Lab, thanks to a collective effort sponsored by several labs. The most substantial addition to Build 77 is a module to handle communication with the Tobii Eye Tracker. Besides this major change, many small and middle-size changes have been introduced. You will find them described in the Docs & Tips section and in the accompanying document included in the package you will download. PsyScope needs a rating. Be the first to rate this app and get the discussion started! We added a new module to handle NetStation EGI machines, supporting TCP/IP communication, and synchronization with the MAC server via NTP. We added indirect support for pictures of type Tiff and Jpeg. We added an action to interrogate any available clock at any moment (GetTimeStamp). Many other improvements to the code and bug fixes were introduced.